This has been a topic of conversation in our office for quite a few years and I think it’s because for a long time, the hashtag symbol (#) was known simply as the “pound” symbol. Now, we only hear it referred to as a pound symbol when you’re entering data on a phone call when choosing an option. 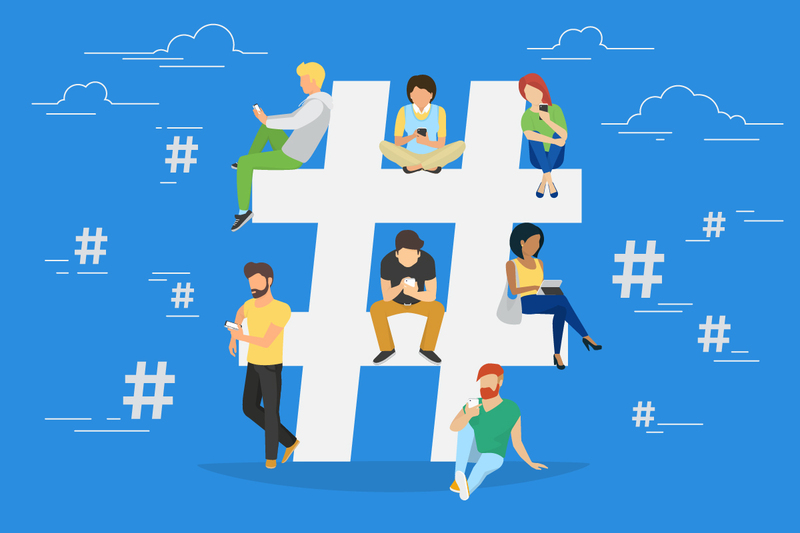 While hashtags were first used by Twitter, they’re now used on many major social networks, including Facebook and Instagram. Let’s discuss what hashtags are, why they’re so great, and how they’re supposed to be used on Twitter, Facebook and Instagram. After all, we all know that you have friends and follow business that don’t use it correctly. A hashtag is simply a keyword phrase, spelled out without spaces, with a pound sign (#) in front of it. For example, #ThrowBackThursday, #TacoTuesday and #DogLovers are all hashtags. You can place a hashtag anywhere in your social media posts; in the beginning, at the end or even in the middle of your thoughts. 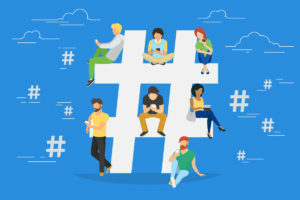 These hashtags tie public conversations from all different users into a single topic, which you can find by searching for a hashtag, clicking on one, or using a social monitoring tool. Please note that in order for your post with a hashtag to appear in anyone’s search, it must be set to public and not private – this is very important when you use a hashtag on Facebook or Instagram. Why are Hashtags so great? When used properly, hashtags are a great way for individuals and brands to make their social posts more visible and increase engagement. They can give people useful context and cues for recall, aggregate posts and images together, and update a group of like-minded individuals on certain a topic in real time. Popular hashtags – #TacoTuesday or #SelfieSaturday. The key is to use hashtags sparingly and only when they add value. I see a lot of companies and brands using them too much, and therefore they can be confusing, frustrating, and just plain annoying. A twitter hashtag ties the different conversations of users into one stream. If Twitter users aren’t otherwise connected to each other, they can still talk about the same topic using a specific hashtag and their tweets will appear in the same stream. Similar to Twitter, a Facebook hashtag ties the conversations of different users into one stream. But unlike Twitter and Instagram, where many users have public accounts and their posts can be seen by anyone, most people have private Facebook accounts. This means that if the individuals are even using hashtags, they aren’t’ searchable. So what does this mean? The hashtags you can search for tend to be published by influencers, brands and publishers rather than individuals. An Instagram hashtag also ties the conversations of different users into one stream, just like Twitter and Facebook. If Instagram users who aren’t otherwise connected to one another talk about the same topic using a specific hashtag, their posts will appear in the same stream. Please note that this is just like Facebook as most users have private Instagram accounts; therefore, when you search, they will be published by your friends, influencers, brands and publishers. What About Using Hashtag in Your Marketing Materials? Although hashtags were born and work best online, you can point people to them in real life. Try placing hashtags in relevant and well-trafficked public locations, like in pictures or posters, menus, stickers, and so on to encourage people to search for that hashtag online. Melissa is a multitasking superstar assisting some of our agency’s largest clients with major print marketing and online media campaigns. When she’s not working, you can find her running or biking along the lakeshore and spending time with her family.